If the above symptoms of eye cancer appear and persists one should contact ophthalmologist. There are no eye cancer symptoms in the early stages of eye cancer. Seeing flashes of light and spots called floaters which are usually a natural part of getting old. A dark spot on the iris which is a colored part of the eye. Pain in case of eye cancer is rare. 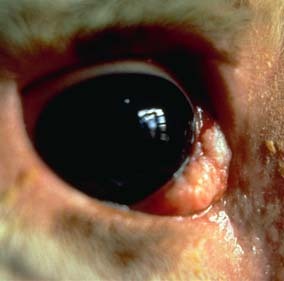 There is a pain in eye cancer only in case if the cancer has spread to the outside of the eye.